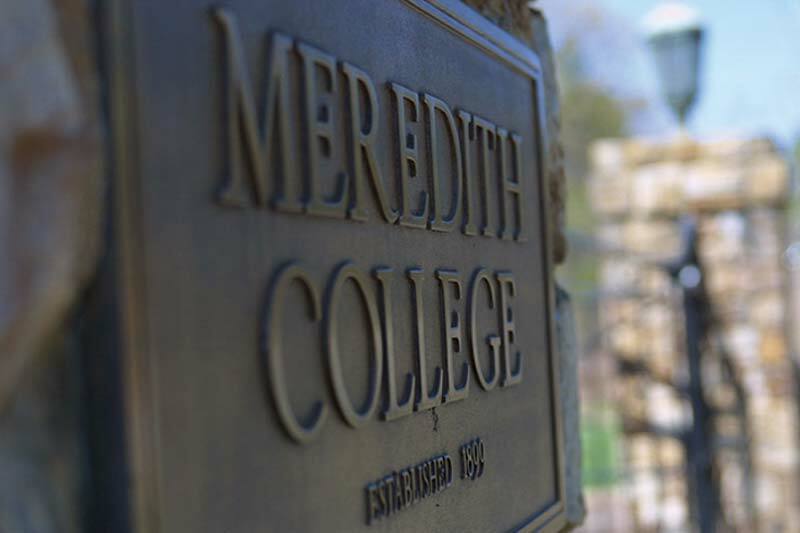 Members of the Meredith College community gathered in Martin Hall on Wednesday, January 16, for Communi-Tea, an event hosted by the health services and grounds departments. The event was held to teach about well-being and the culture of tea, as well as to discuss mindfulness, resilience, and thriving. The presentation included remodeling plans for the Dickson Foundation Community Garden, health benefits from various kinds of tea, and embracing gratitude. Different types of tea samples were provided and attendees were able to create their own custom bag of tea by combining dried tea leaves, orange peel, chamomile, hibiscus flower, and fresh lemon. The mixture was then poured into a tea bag and then steeped to be enjoyed in the free mug that was given to participants as a gift. Dr. Mary Johnson, director of health services, saw a great opportunity for this event as a member of the National Consortium for Building Healthy Academic Communities (BHAC). Johnson realized the timeliness of this event and how it corresponded with BHAC’s Wellness Challenge, a four-week long challenge for students and faculty at colleges and universities across the United States to promote one or more of the following: physical wellness, mental health, financial wellness, environmental wellness, and social wellness. Note: An RSVP is required for this event. Please check your Meredith email for dates and times.